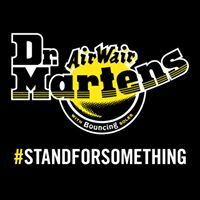 Dr. Martens’ appeal to people who have their own individual style but share a united spirit – authentic characters who stand for something. People who possess a proud sense of self- expression. People who are different. On a stylistic level, Dr. Martens’ simple silhouettes allows their wearers to adopt the boots and shoes as part of their own individual and very distinctive style; on a practical level, their famous durability and comfort make them ideal for the unforgiving world of gigs and street fashion; and then finally on an emotional level, they are a badge of attitude and empowerment. However, it wasn’t always this way: Dr. Martens were originally a modest work-wear boot that was even sold as a gardening shoe at one stage.